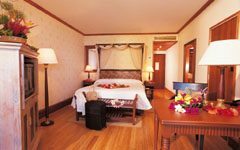 - For the luxurious side of this accommodation. 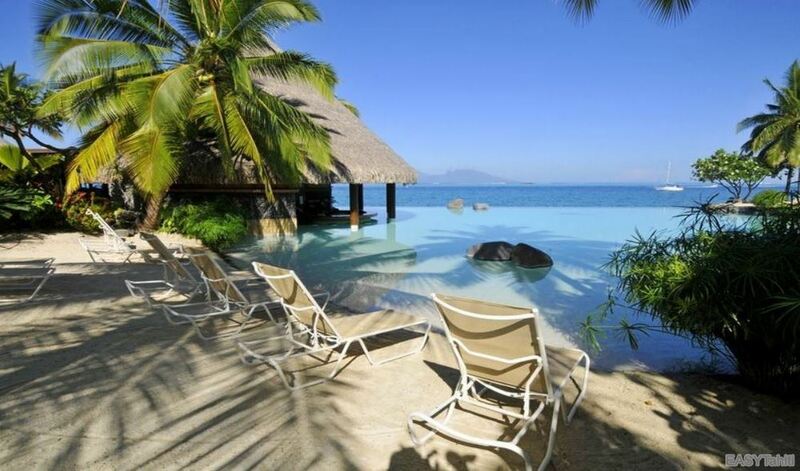 It is one of the best in Tahiti. 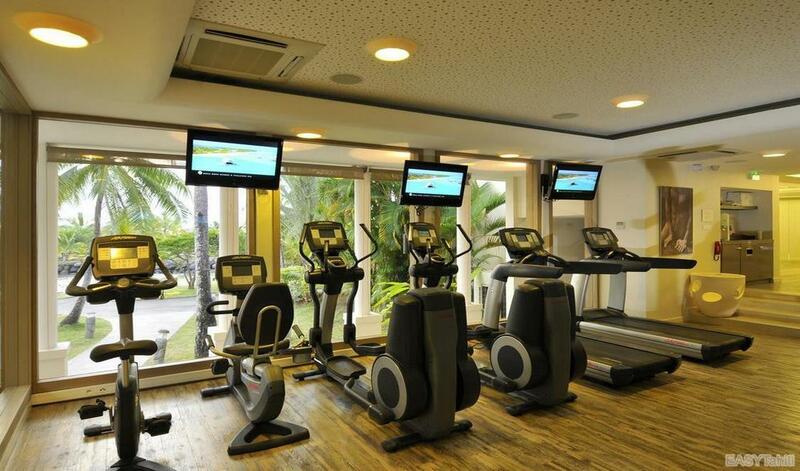 Very good comfort, careful decoration of rooms and common areas, and very nice staff. - For the two infinity pools of the hotel. The swimming pool of the Tiare (surface 1200sq-meter) with its waterfalls and its jacuzzi, and the Lotus swimming pool (surface 800sq-meter), with sand bottom , with its submerged bar as well as its jacuzzi. - For the natural lagoonarium, where you can swim with tropical fish, and safely initiate children to snorkel (little depth, and no current). 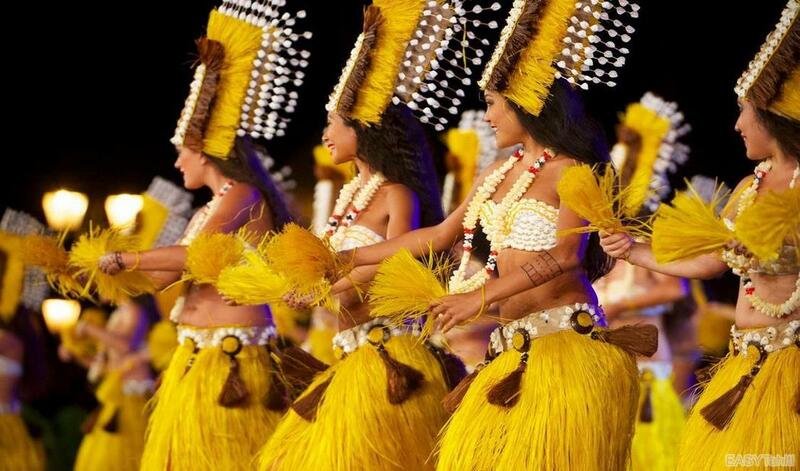 - For the magnificent Polynesian dance shows. 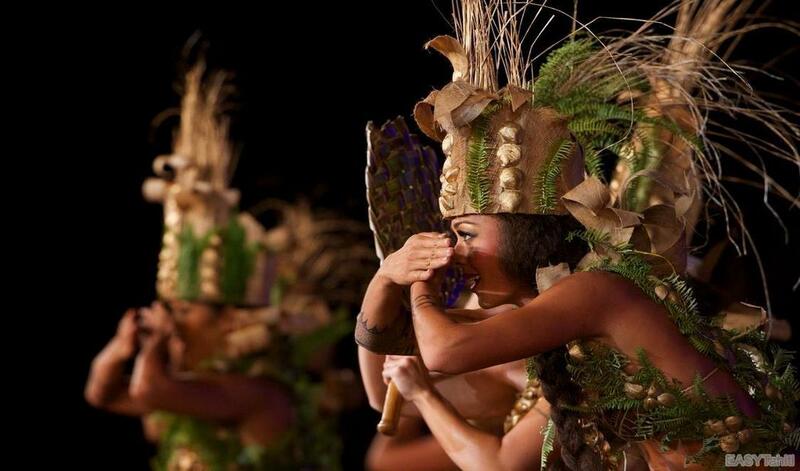 Every Wednesday evening is organized the "Marquesan evening" with dinner and dance show. 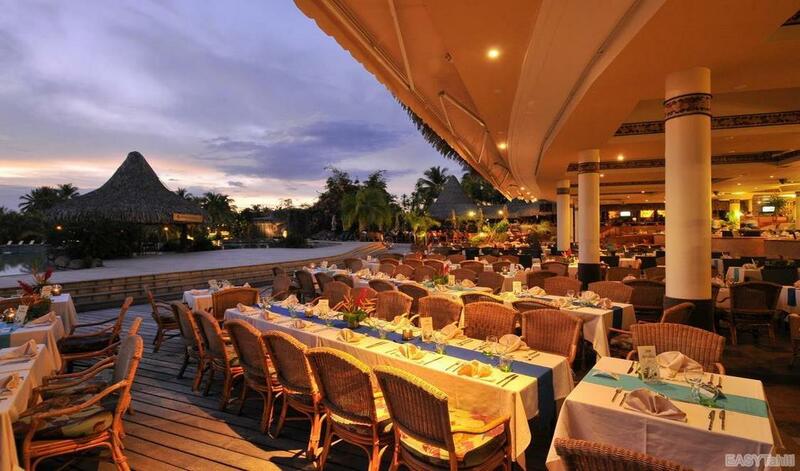 Friday night is the "wonderful evening" with a large Polynesian buffet, and a group of musicians and dancers. 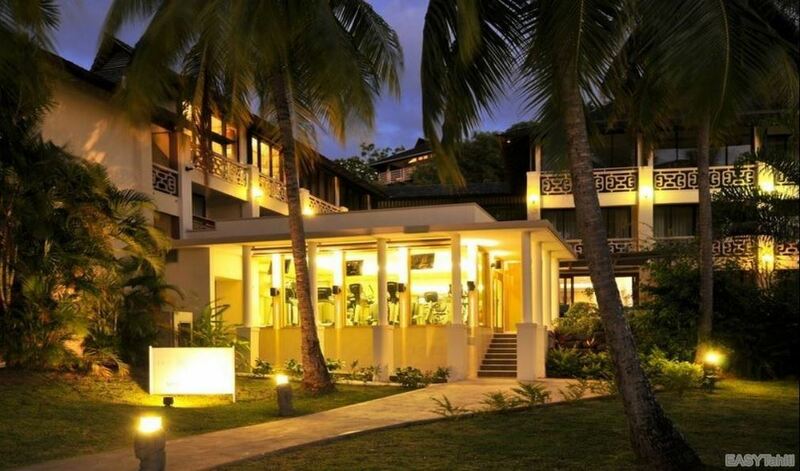 - For its geographical location (5 / 10mn from the airport, 10 / 15mn from the center of Papeete). 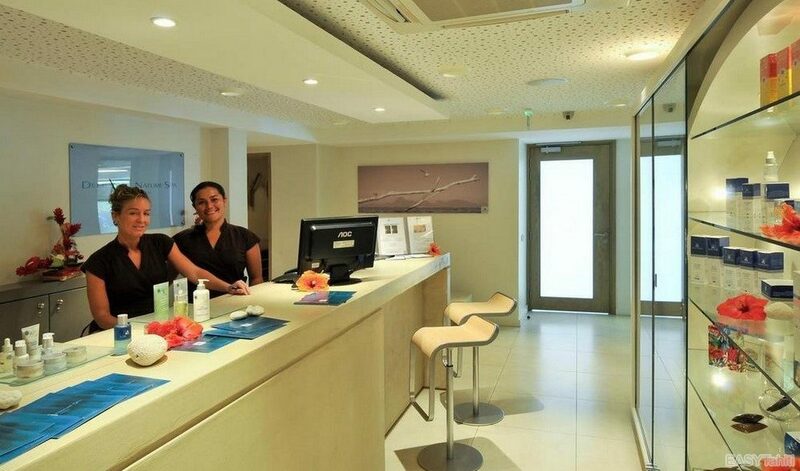 - For the Deep Nature Spa which offers exceptional treatments in a unique setting overlooking Moorea. 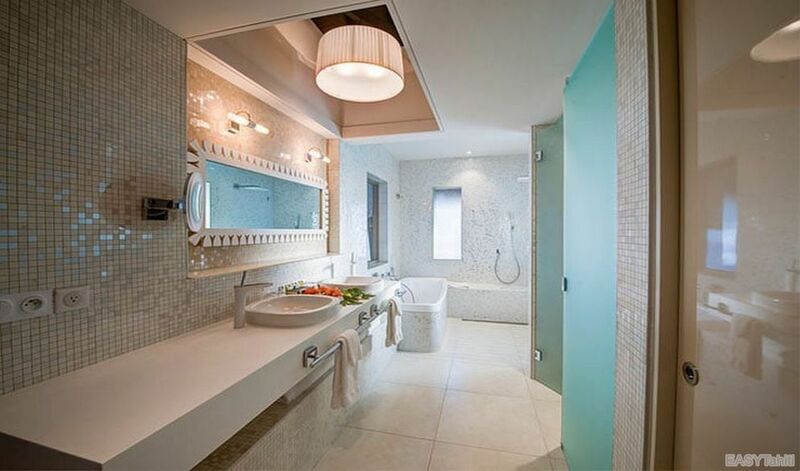 - For "superior rooms" that have recently been renovated. 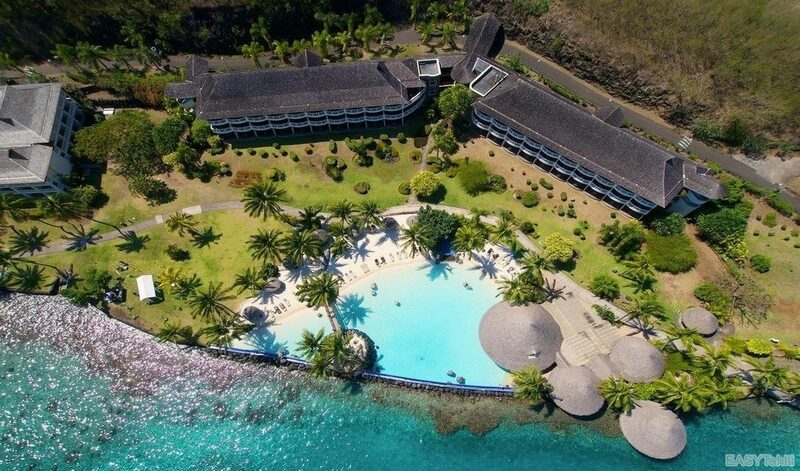 2.5 km from Tahiti Faaa International Airport. 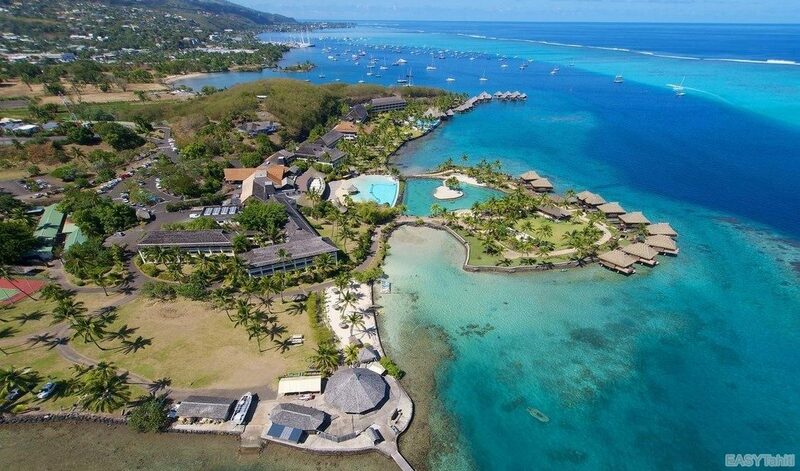 8,0 km from Papeete city center. 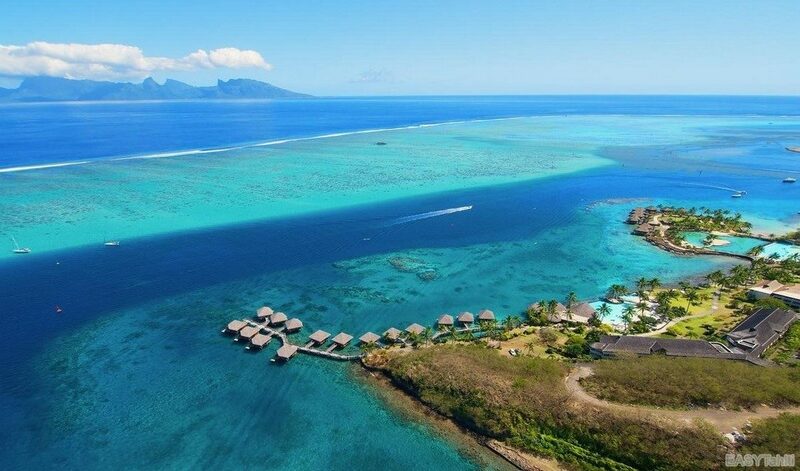 8.4 km from Papeete Maritime Station (Ferry to Moorea). 1.7 km from nearest hypermarket. 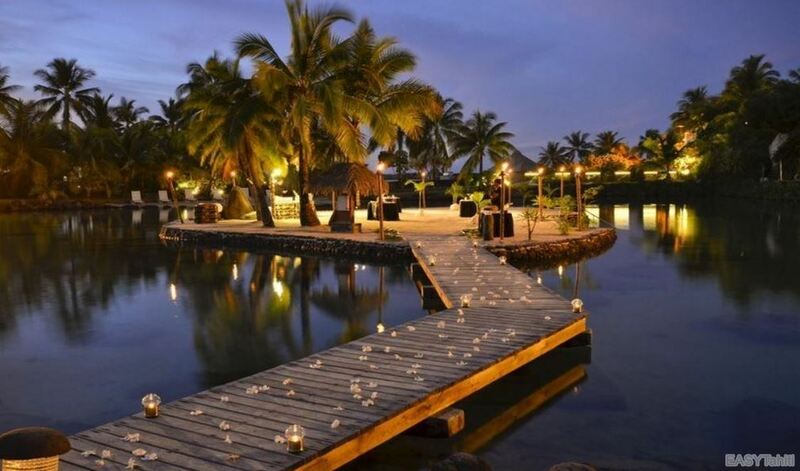 - Environment : located in a large tropical garden, overlooking the lagoon, the garden and the surrounding mountains. 47 Superior Rooms Garden View. 58 Superior Rooms Lagoon view. 02 Superior Rooms Lagoon view, accessible to people with reduced mobility. 21 Panoramic Rooms Garden View. 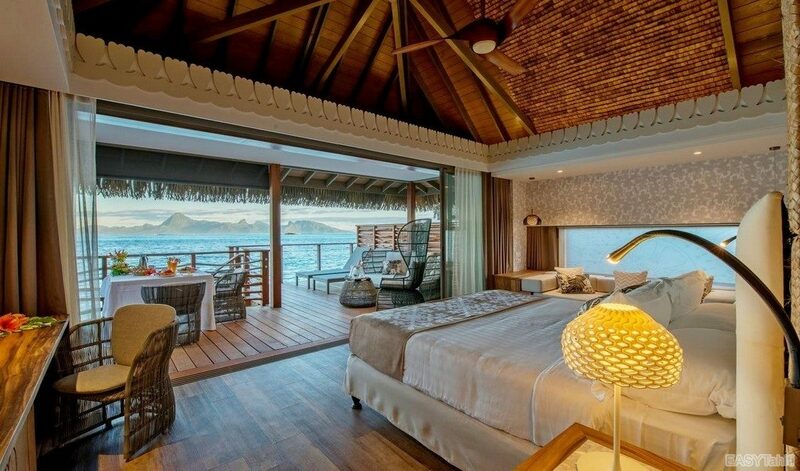 39 Panoramic Lagoon View Rooms. 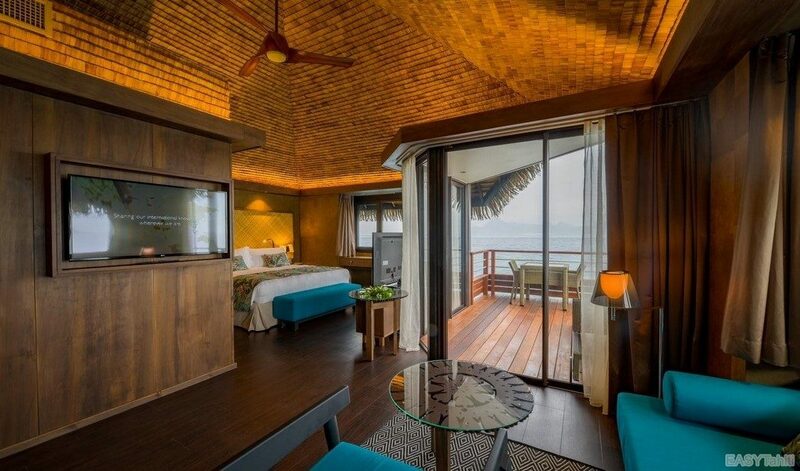 13 overwater bungalows overlooking lagoon. 02 Superior Bungalows on Stilts overlooking Lagoon. Stay in Family or between Friends: large capacity Suites, Villas and some rooms can be communicating. 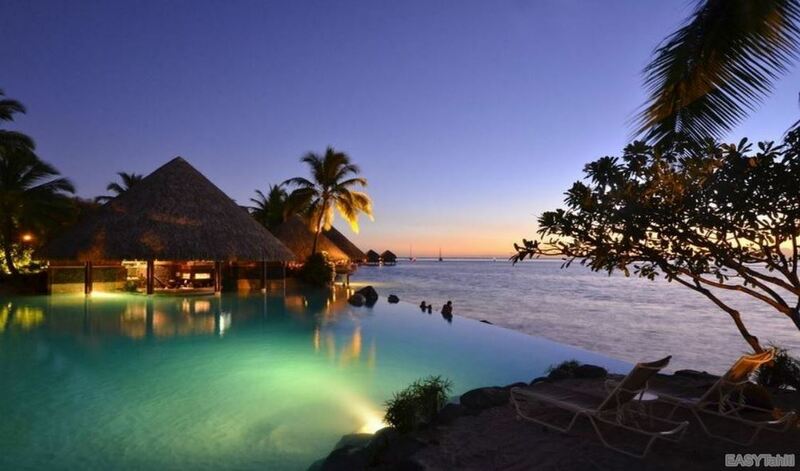 Two infinity pools with sunbeds and umbrellas. Pick up your luggage on your arrival / departure, and delivery to your room. Concierge service for your activities, excursions. Children under 4 years old are welcome at no extra charge in their parents' room / bungalow. If capacity permits, children under 15 years old are allowed at no extra cost in their parent's room / bungalow. Anyone over the age of 14 is considered an adult. Children under 4 years old can dine for free under the children's menu. Children from 4 to 11 years receive a 50% discount on meals. Anyone over the age of 11 is considered an adult. In the case of a group transfer (non-private), children under 12 receive a 50% discount on the adult rate. In the case of a reservation for a private transfer, there will be no discount for children. Local currency (Pacific Franc XPF). Check in the local currency. Bank cards (Visa, Master cards, American express, ...). Currency exchange at the hotel. Ramps, elevators, elevated toilets with support bars, showers with support bars. 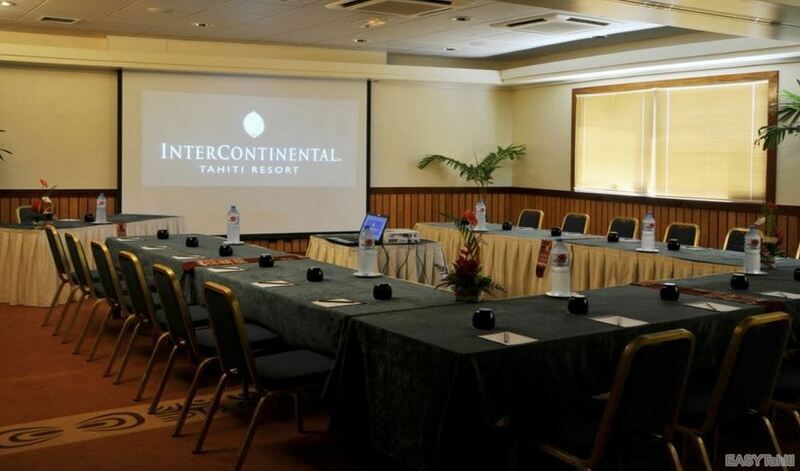 Arrival / Departure International Airport : Transfers between Tahiti Airport and your accommodation will be organized by your EASYTahiti Travel Advisor according to your international flight schedules. They will be operated by our transport company. Arrivals / Departures inter-island (or ferry) flights : Transfers between the airport or the ferry dock in Tahiti and your accommodation will be organized by your EASYTahiti travel advisor according to your inter-island or ferry schedules. They will be operated by our transport company. For your personal trips : The hotel offers a shuttle service between the hotel and the city center, operational from 9:00 to 16:30 from Monday to Saturday inclusive, for a fee. The booking and payment is made by the concierge, who can also arrange a taxi service. We can also, through our transport company, and for a similar price, organize your various transfers, according to your needs. For your activities and excursions : Return transfers from your accommodation are generally included in the price of excursions and made by the provider himself. 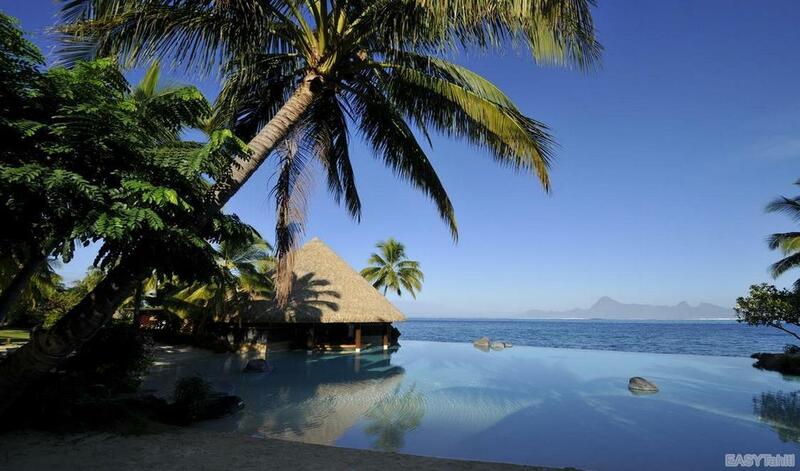 For the booking of an activity without transfer, thank you to get closer to your travel consultant EASYTahiti. Possibility to rent a car (sent directly to the hotel) : Please contact your EASYTahiti travel advisor for more information. * Please note : If you wish to collect your room before 3:00pm, you have the option of ordering an "early check-in". If you wish to return your room after 11:00am, you can order a late check-out. Please contact your EASYTahiti travel advisor for more information. 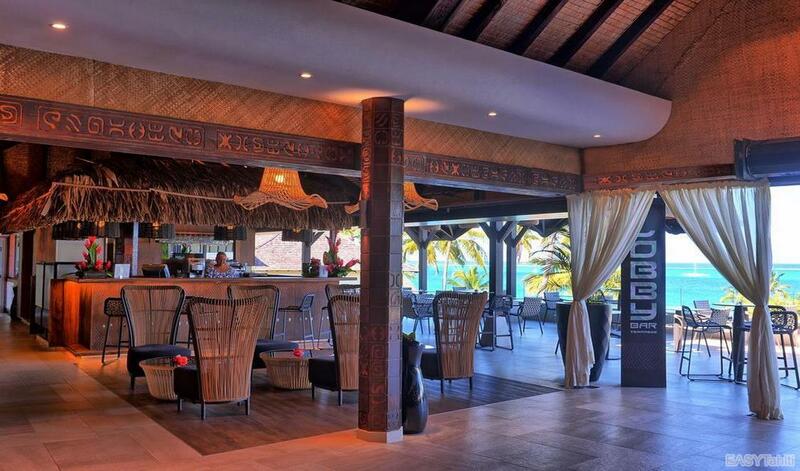 - The restaurant Tiare, arranged in an amphitheater with an open kitchen, offers a non-stop service from 6.00am to 9.30am, every day, overlooking the gardens and one of the hotel's pools, all in a Polynesian decor authentic. Enjoy a full American breakfast buffet. 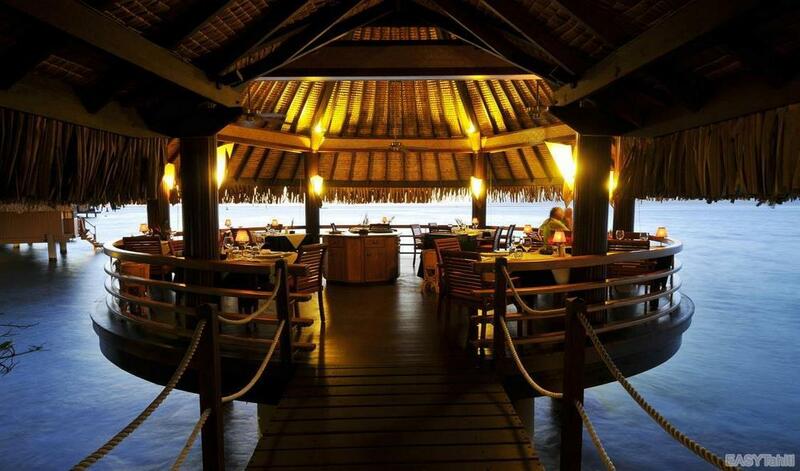 This restaurant is also known for being the venue for the most beautiful Polynesian dances shows. 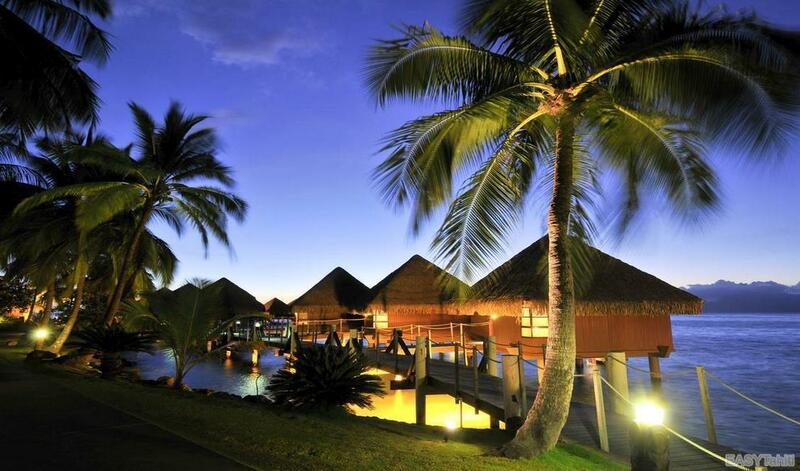 - Friday: "Wonderful evening" with the Hei Tahiti group in exclusivity. 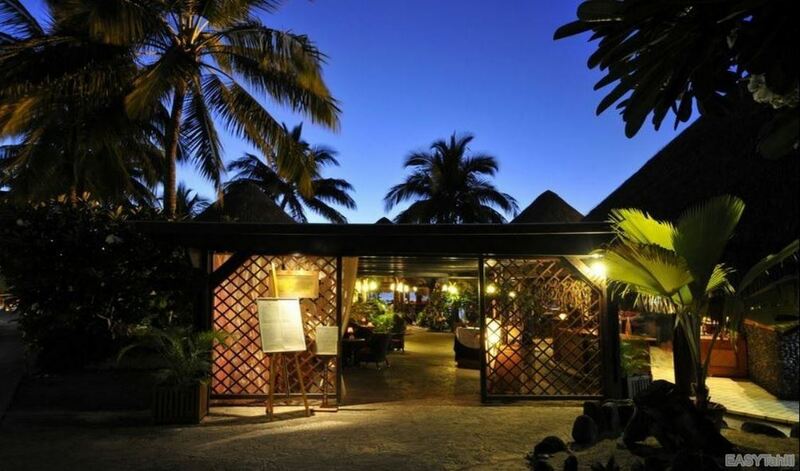 The restaurant also offers a hearty Tahitian brunch every Sunday from 7.00am to 10.00am, in the presence of local artisans and musicians. 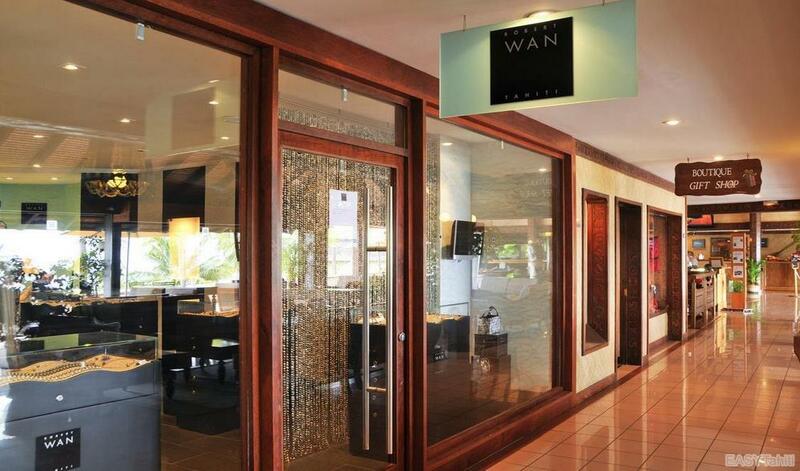 refined from 12.00pm to 2.00pm and a gourmet dinner from 6.30pm to 9.30pm. In an intimate and elegant atmosphere, a refined service, enjoy the gourmet menus and specialties of chef Frank David. - The "Tiki Bar" is open from 10.00am to 10.00pm and is famous for its musical entertainment, from Wednesday to Sunday from 5.00pm. Happy Hour on a selection of cocktails from 4:30pm to 5:30pm every day. 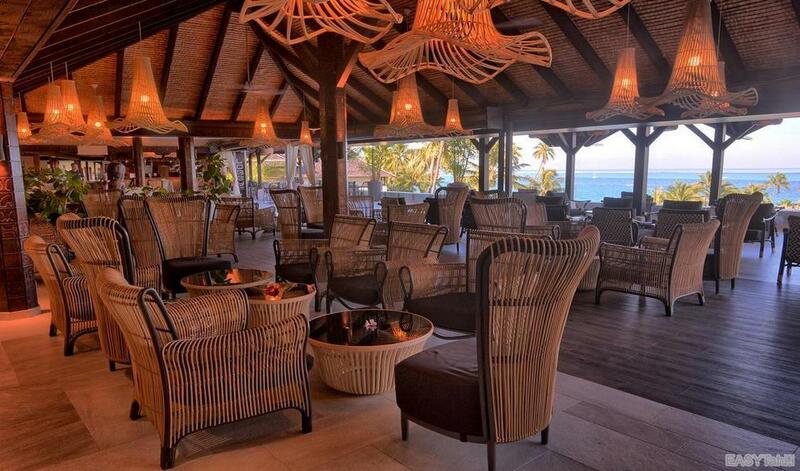 - The "Lotus Bar" is open from 10:00am to 6:00pm every day. 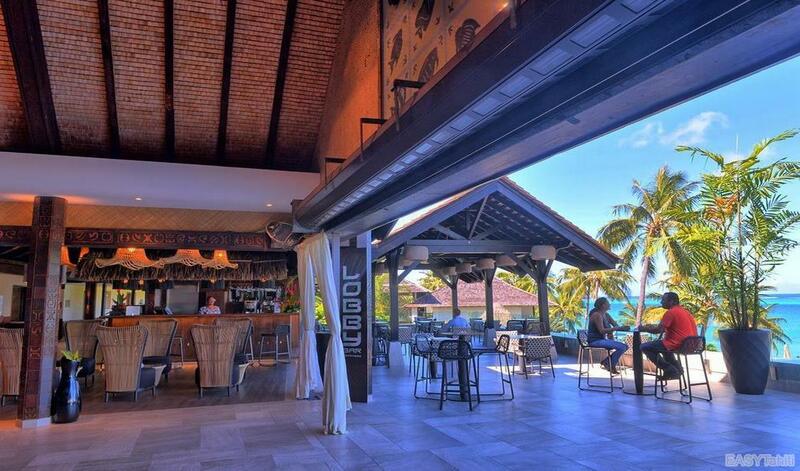 Located in the Lotus's sandy bottom pool, this submerged bar offers a full menu of tropical cocktails. - The "Lobby Bar" is open 24 hours a day and offers a selection of drinks and snacks, ideal for late arrivals and early departures. It is also the ideal place to have an aperitif at sunset. - Room Service : available 24 hours a day, at an extra charge. 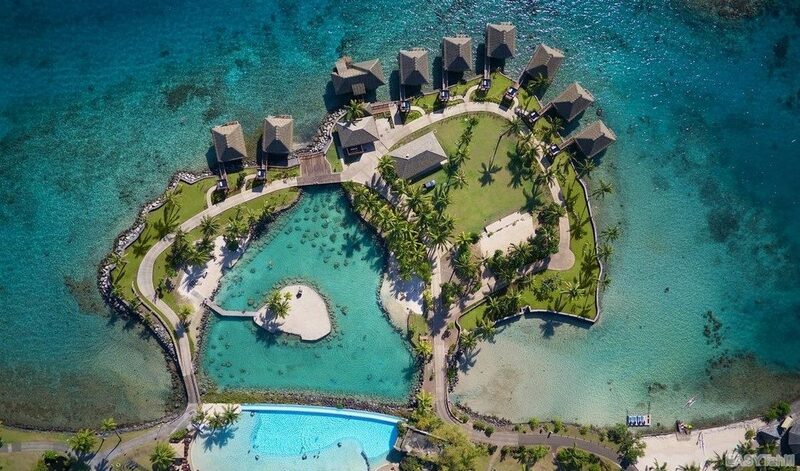 For more information, please contact your EASYTahiti travel advisor. 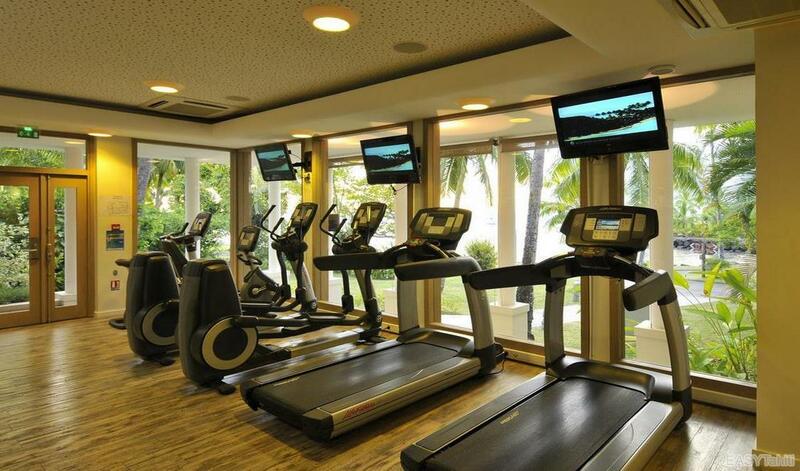 These rooms are the same size and decor as the Ocean View Rooms. They are named after their location at garden level, although most of them have at least a partial view of the water. 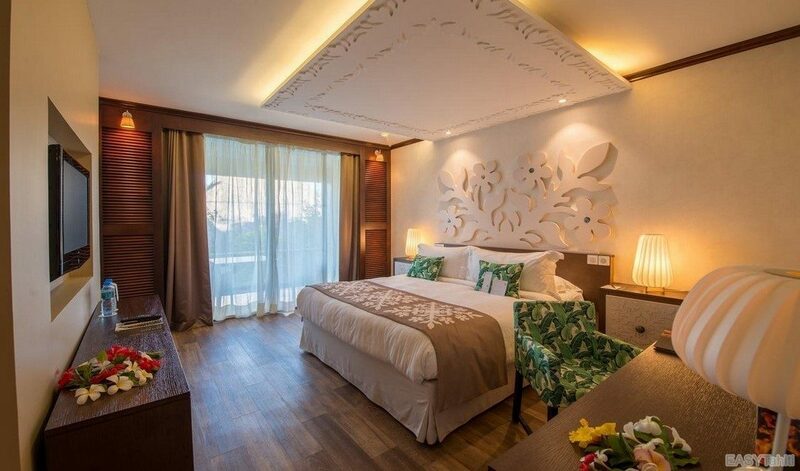 They have a king size bed or 2 twin beds in their 307 sq ft (28.5 sq m) rooms plus terraces. Max 2 adults + 1 Child (under 12). Cosy and spacious 307 sq ft (28.5 sq. 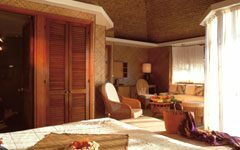 m) rooms and private balconies, they have a combined configuration of twin and king size bed. 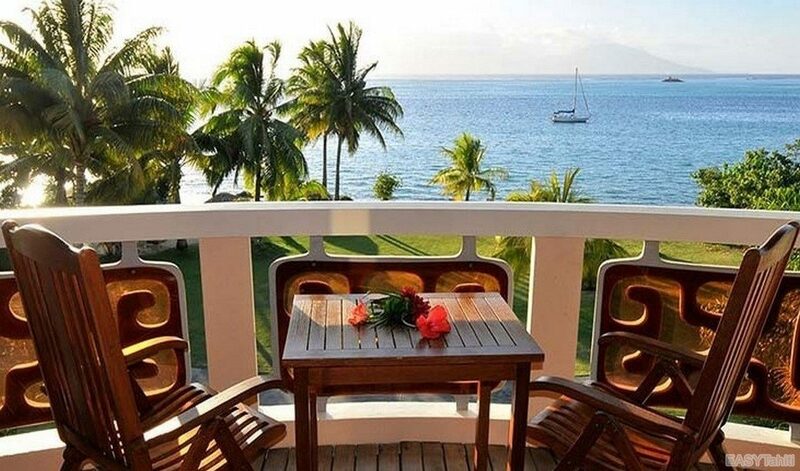 They are grouped around the central core of the hotel and all have views across the lagoon to the reef and the ocean beyond. Max 2 adults + 1 child (under 12). 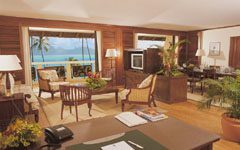 At the seduced end of the resort are our largest rooms in two buildings with just 30 rooms each, all with magnificent panoramic views over the exquisite Lotus infinity pool, the lagoon and across the Sea of Moons to Moorea. 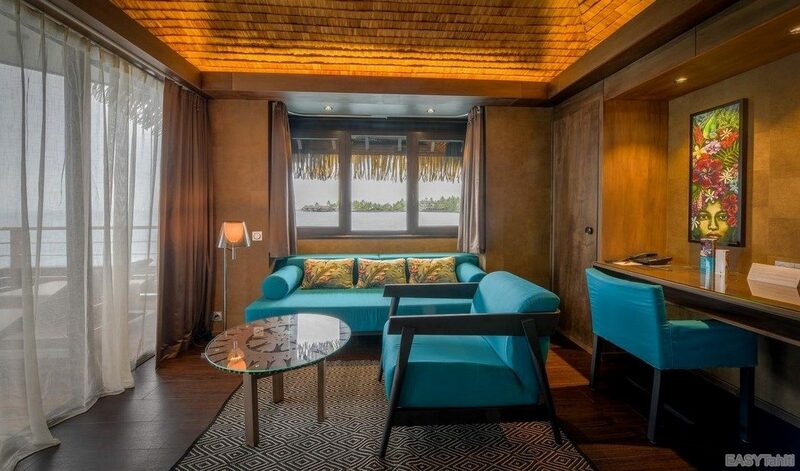 These rooms, along with our overwater bungalows, are the top choice of many honeymooners. 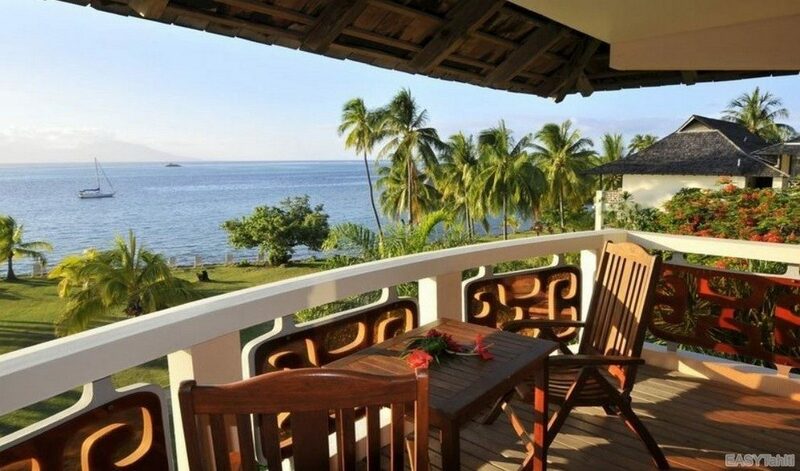 Motu is the Tahitian word for an islet, and it's around our own little motu that you find these bungalows. 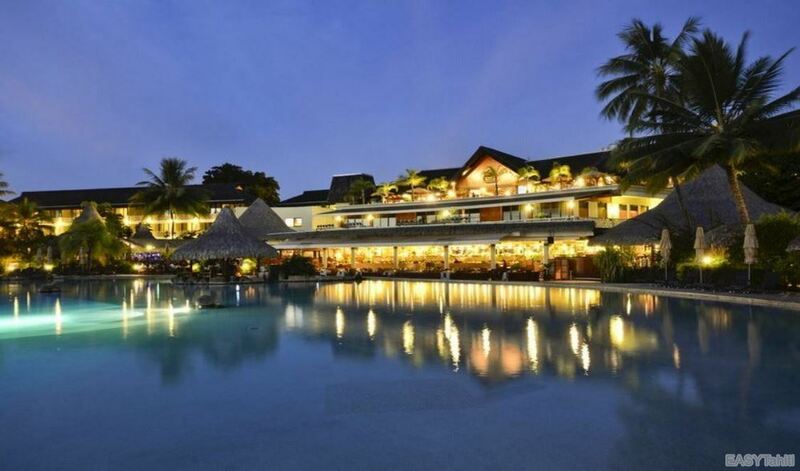 Situated directly on the lagoon, in front of the Lagoonarium, the main pool and the central resort complex. It's a little heaven of peace and tranquility. These bungalows measure 328 sq ft (30.5 sq m) plus sundecks and platforms and their bamboo decor creates a definite feeling of Polynesia. 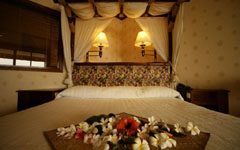 They are the most romantic and intimate of our accommodations. 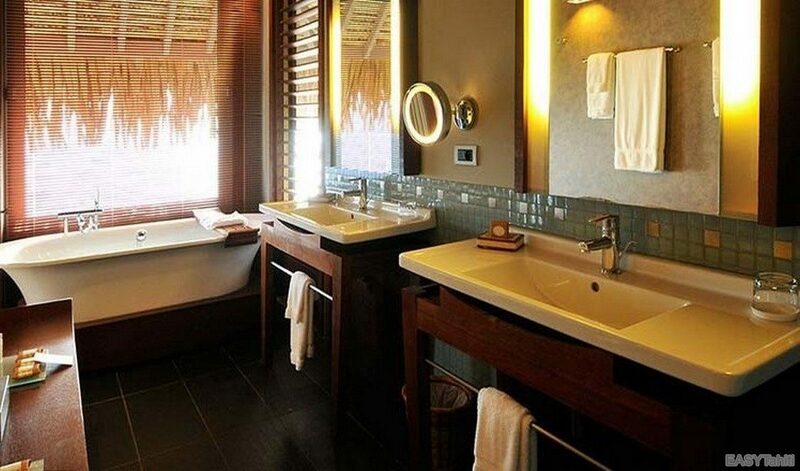 They are roofed in traditionnal pandanus leaves and situated on stilts over the lagoon itself. 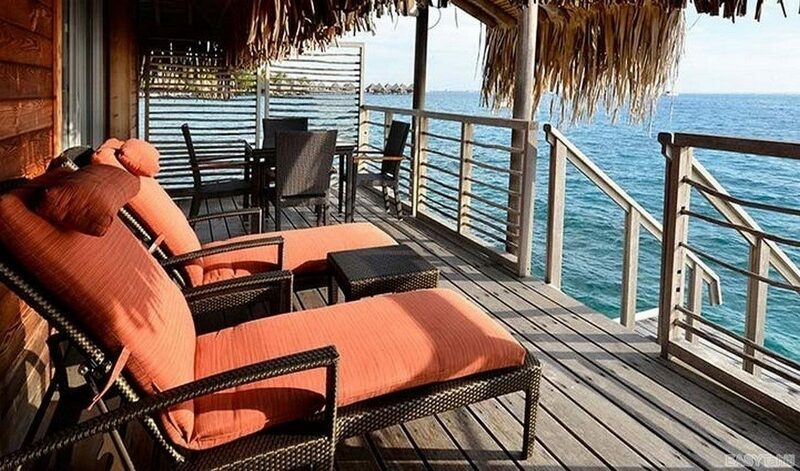 They all have sundecks and platforms from where you can step off directly into the lagoon waters for swimming, snorkeling or to contemplate the sunset. Built at the Lotus end of the resort, near the Lotus Restaurant, Lotus Pool and Swim Up Bar. They are Junior Suite configuration with 414 sq ft (38.5 sq m) excluding the deck and platform from which you can swim into some 10ft of water. They are the most romantic and intimate of our accommodations. 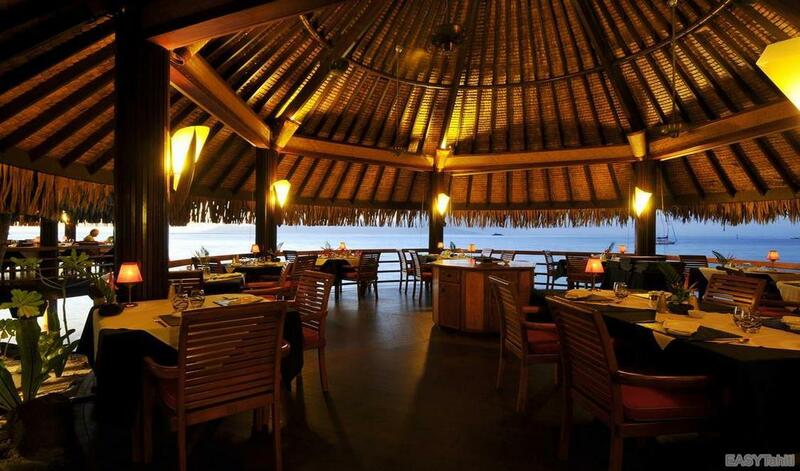 They are roofed in traditional pandanus leaves and situated on stilts over the lagoon itself. They all have sundecks and platforms from where you can step off directly into the lagoon waters for swimming, snorkeling or to contemplate the sunset. 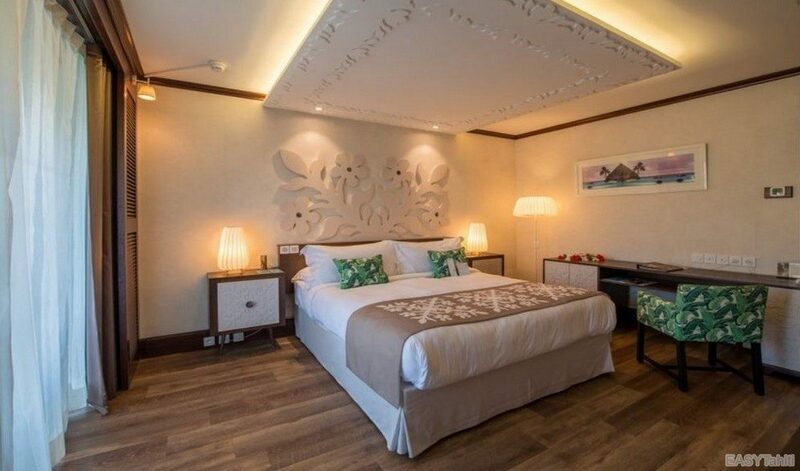 The ultimate in luxury in our most spacious and opulent accommodation, with its 74 sq m of bedroom, lounge, bar area and dining room, all superbly decorated and equipped. 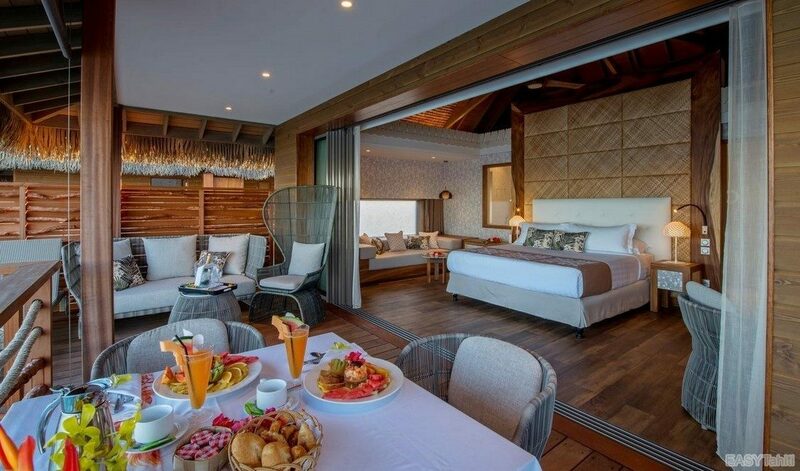 The exclusive Overwater Suite Villa has a roomy area of 100 sq meter, including the spit-level terrace and the sundeck from which you can step into the lagoon. Enjoy a private fresh outside shower when you drag yourself away from the lagoon after your swim or snorkeling expedition. 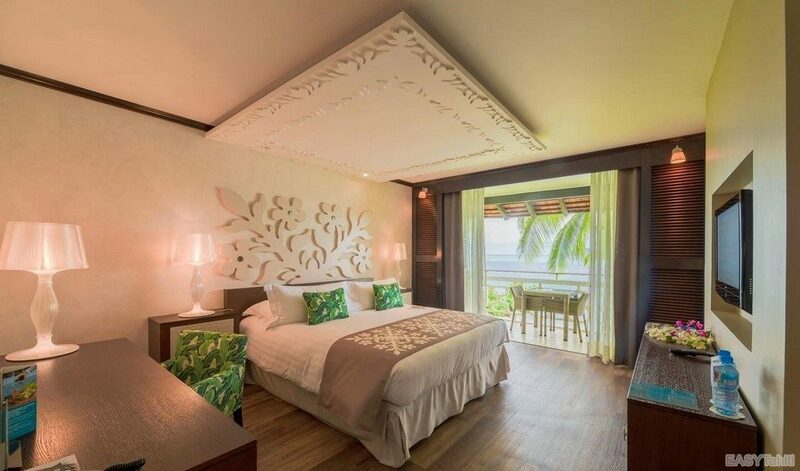 Traditional dance costumes decorate the rooms' walls ; the furnitures and accessories are made out of local materials and noble fabrics with polynesian patterns, heightening the unique wealth of the lagoon's colors. 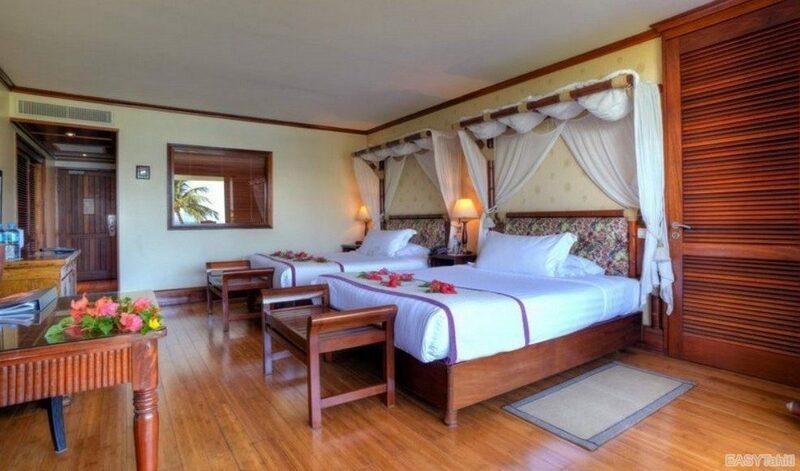 The villa is composed of a room with a king size bed convertible into two twin beds if required and of a sofa convertible into two single beds for one person, and a bathroom with separate shower and 2 washbasins. The maximum occupancy is 4 adults or 3 adults + 2 children.